The best gardeners know what and when they can grow is determined by where they are gardening. 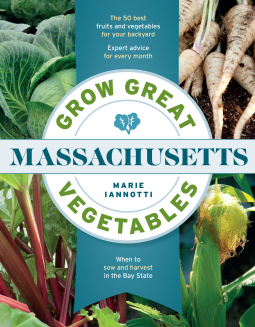 Grow Great Vegetables in Massachusetts is the ultimate guide to growing food in the Bay State, with detailed information on climate zones, average frost dates, and growing season details. Entry-level garden information includes details on sun, soil, fertilizer, mulch, and water. A garden planning section offers advice on design, and monthly planting guides show exactly what to do in the garden from January through December. An A–Z of edibles offers detailed information on the top 50 plants.